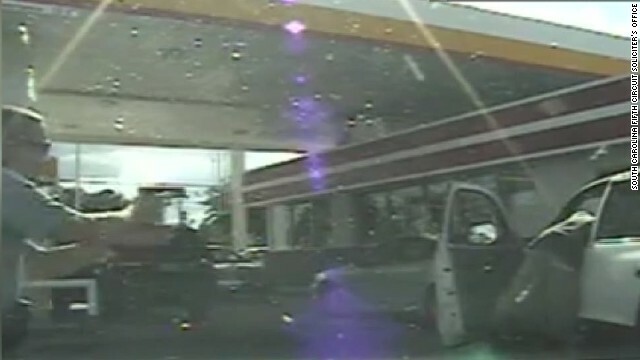 Cop Shoots Unarmed Man for Complying with Order. One moment, a man reaches into his vehicle after a South Carolina trooper asked for his driver’s license. Jones was shot in the hip, CNN affiliate WACH reported. He was taken to a hospital and later released, authorities said. Jones was found not to be armed, Smith said. “I believe this case was an isolated incident in which Mr. Groubert reacted to a perceived threat where there was none,” Smith said last week. In a court hearing Wednesday night, a judge ordered Groubert held with bond set at $75,000, WACH reported. CNN’s attempts to reach Groubert’s and Jones’ lawyers weren’t immediately successful. “That protocol was not followed in this case. Further, this incident occurred in broad daylight. Mr. Groubert had a clear and unobstructed view of Mr. Jones,” Smith said. Groubert, who joined the Highway Patrol in 2005, earned kudos for the other time he’d fired his gun in the line of duty. Police said Groubert stopped a car that had passed him at a high rate of speed in Richland County in August 2012. The driver eventually took off without permission, and Groubert pursued him, police said. Another trooper joined the pursuit, and the driver stopped at a bank, exited his vehicle and fired shots at both troopers in the parking lot, police said. Groubert and the other trooper returned fire, injuring the suspect, the SCDPS said. At some point, it appeared that the suspect intended to go inside the bank, Iacobelli said. That suspect was charged with attempted murder and convicted in 2013, according to the SCDPS. The SCDPS gave Groubert a medal of valor in 2013 for his handling of the incident, Iacobelli said.